The Tornados were formed in Titahi Bay in 1958 and comprised Bob Taylor on Keyboards, Kevin McKeefry on Drums, Scott Arnold on Rhythm Guitar, Ian Hughes on Bass Guitar and Barry Coupland on Lead Guitar. Throughout the inevitable personnel changes as the Tornados became the Kiwi Four and then the Devils, Bob was without peer in the group with his ability to read, write, score and arrange music. This was to become critical in latter days in the clubs, pubs, recording studios and television stations of NSW; when the resident bands were required to work "sight unseen" with live guest artist's charts, and or programmed musical arrangements. Bob was the only one able to "sight read" the score as he played - the rest of us "got by" by reading piano chords over his shoulder, or having him call the chord progressions as the number progressed. Typically it worked very well. In March 2008 the above five, along with Pat Southee on Keyboards (Supersonics), Brian Gunson on Guitar and Saxophone (Skyrockets) and Colin Lock (Skyrockets, Kiwi Four, Devils) assembled at Barry Coupland's home in rural Horowhenua for a four day reunion, to celebrate 50 years of the original formation in Titahi Bay. 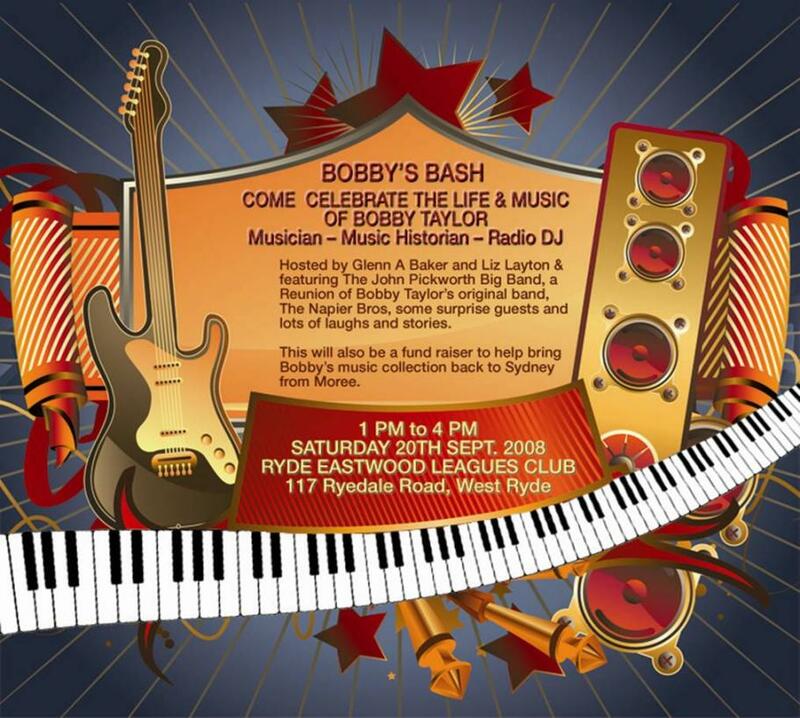 The event was a huge success, and in particular Bob was eagerly looking forward to repeating the venue in March 2009. Sadly, Bob will not be with us this time, but if only as a tribute to him, the unanimous resolve of all is to press on with the 2009 event. There is no doubt that that is what he would've wanted us to do. Bob's funeral is in Mooree NSW next Tuesday August 26, 2008; and there is to be a tribute memorial service to him in Sydney in the near future. at time of writing, Kevin McKeefry and I are intending to attend the Sydney function.